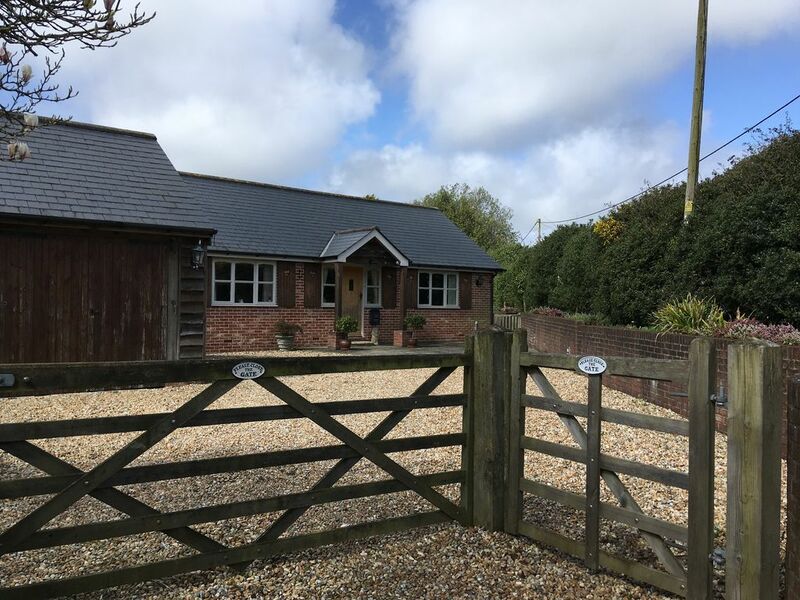 Nestled on the edge of the village of Pilley, in the New Forest National Park is Oak Tree Cottage. With forest tracks on the doorstep, it is ideally situated for relaxing and exploring the New Forest and villages along the South coast. The local ponies and donkeys are frequent visitors to our lane, as they roam freely in the immediate area. Our cottage is tastefully furnished throughout with adequate parking, good sized garden and barbecue provided for the summer months. There is no traffic noise. Oak Tree cottage is situated within easy reach of the Georgian market town of Lymington, with its lovely cobbled street, quay, array of individual shops and Saturday market, and in the other direction, the quaint village of Beaulieu with its famous National Motor Museum. The Isle of Wight can be reached easily by taking the ferry from Lymington and from nearby Brockenhurst there is a rail link connecting to Bournemouth, Southampton and London Waterloo. We are Ian & Jenny, a married couple with 3 sons. We own Oak Tree Cottage. We live approximately 10 miles away, and are available most of the time. If you are looking for a typical New Forest experience, you will find it here in Pilley. The cottage is characterful and cosy, with luxury fittings and fixtures. It has oak flooring, a sunny conservatory leading onto the back patio and a lovely well-equipped farmhouse style kitchen diner with American style fridge freezer. It sits in a private, large corner plot mainly laid to lawn. Quintessential New Forest location, perfect for exploring everything the New Forest has to offer. Get up close with the donkeys and see the miniature ponies. The wifi speed ranges between 1 and 3 MBPS, this is due to the rural location of the property. We are very pleased to hear that you all enjoyed your stay, thank you for your review. Myself, my Mum and two sisters had a wonderful stay here. The cottage is perfect and extremely homely. It's in a great location as only a short drive to the local towns and beaches. We got our food (Tesco) shop delivered with no problems at all and got to see lots of wild donkeys. We would definitely stay again and would definitely recommend for others to stay here too. Thank you for your lovely review Faye, we are so pleased that you all enjoyed your stay at our cottage. We hope you will come back again some time soon, it was a pleasure to host you. We rented house/cottage for 3 days, 5 adults and loved it. Very clean, convenient and bright. Great location near the New Forest. Quiet country lane and nice yard. Will likely rent again. Owners were very helpful answering questions. We are so pleased you enjoyed our holiday home, especially as you were our first visitors from the U.S. and hopefully not the last. Thank you for your review Ross, it’s great to receive such good feedback and we appreciate your comments. Thank you for your kind review Donald, we are so glad you liked our place and enjoyed your stay in Pilley.